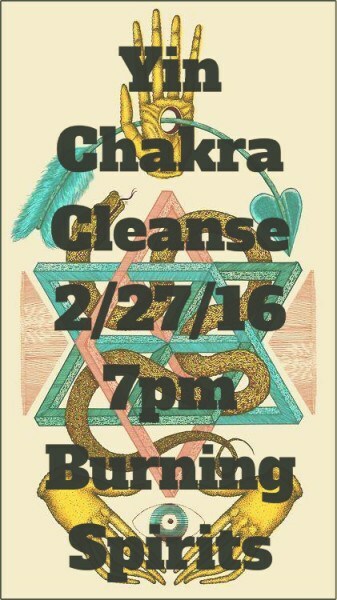 Please join the Burning Spirits yoga community for this soul cleansing and healing event. Class will begin with a series of Yin poses focused on moving chi through each of the seven core chakras and end with a deeply effective chakra tuning meditation known as Ananda Mandala. This powerful sadhana was developed by the disciples of Sri AmmaBhagavan at he the Oneness University in India. It combines rhythmic breathing with successive meditations on each of the chakras. This meditation is suggested to those with an existing yoga and meditation practice and contraindicated for anyone pregnant, with respiratory ailments, or heart conditions.